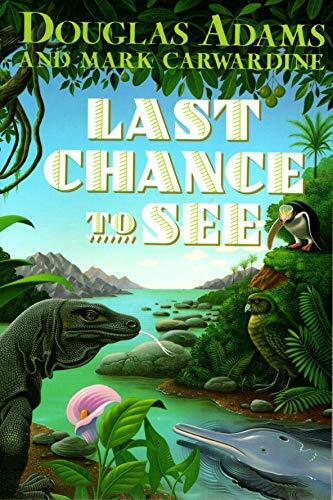 The best-selling science fiction humorist Douglas Adams accompanies a world-class zoologist on an around-the-world trip in search of exotic, endangered creatures. By turns hilarious and poignant, this is a treat for Adams fans and anyone who cares about Earth's wildlife. Mark Carwardine is a professional photographer and broadcaster. In addition to his career as a photographer, Mark has more than 50 books on wildlife, conservation and travel to his name. He co-presented the BBC TV series Last Chance to See (2010) with Stephen Fry (20 years after a renowned radio show of the same name with Douglas Adams); other shows he has presented include Museum of Life (BBC2, 2010) and The Great American Oil Spill (BBC2, 2010). Cetaceans are Mark's great passion; in addition to writing the top guide to these animals he leads tours and trips to see them throughout the Southern Ocean.